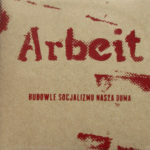 Boanerges Diy label has prepared the reedition of Arbeit’s album „Budowle Socjalizmu Nasza Duma”, which was well received in 2013. The secondary project of the creator of dark ambient Hoarfrost takes a listener to socialist reality of Polish People’s Republic. Speaches of dygnitaries, stertorous sounds of machines and crossed next norms of production. „Budowle Socjalizmu Nasza Duma” is everyday picture seeing by the eyes of ordinary worker. Social and political satire smelted in industrial-noise furnace. Premiere: 08.10.2017r. We ask ourselves what if someday good mother Gaia show the other face – infanticide Medea? Then nothing will be the same anymore. We will feel deceived and betrayed. The embrios straying by the destroyed planet – without faith, we will die deprived of hope for surviving. The world will collapse beneth our feet. Anima Mundi – where our human oddysey leads. The last composition on the album is Medeaeternum. Its title is compilation of the name of the mythic murderess Medea and the latin word meaning „eternal”. We invite for the journey by the world of hopelessness two representants of Polish industrial and noise scene: Tomasz Twardawa i Dawid Chrapla, which figures we are presenting now. 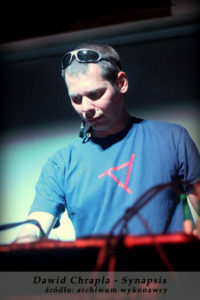 Tomasz Twardawa is present on the music scene since 1986. 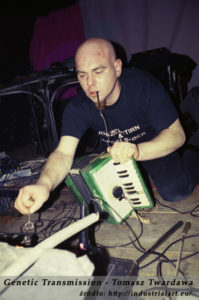 He is a precursor of Polish industrial music. He played, among others, in Zilch, Ładne Kwiatki and Godzilla. His solo project Genetic Transmission became a legend of this scene. 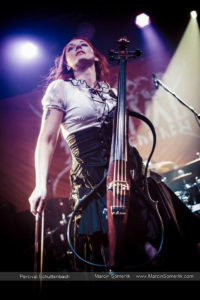 Twardawa was also a member of trio Hated Bruit Kollekiv. He met there Dawid Chrapla, known as well from D.CH. Nojsens, Antibiotix and Synapsis, among others. 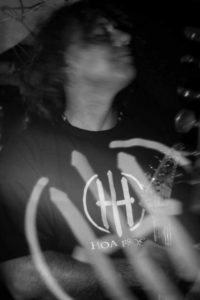 Dawid Chrapla is the music experimenter, often collaborating with musicians, representing different music genres. Earth – manifesto of the life. Mythical Gaia, the mother of all its forms, which existing from ages and are interrelated in one superorganism of our planet. But if caring mother is only our illusion? And we, human race, are helpless children, watching with trust in murderer eyes? We raise this question on Anima Mundi. What will be the answer? None of us can foresee. Dark ambient industrial is a hermetic genere. We looking for the way to enrich its sound. 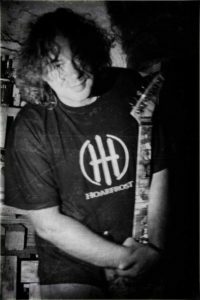 Now is the time to portray our next guest – Valdi Rzeszut of which disturbing guitar You can hear in tracks: Refracted in Illusion and In Hopeless Mazes. Valdi Rzeszut – the Polish guitarist, composer, producer, sessional musician. His musical output is a 40 albums, recorded with the Polish rockmans Wojciech Waglewski and Marek Piekarczyk among others. From years in the music group Ratatam. Before he was releated to the music background of Tarnów (Dzika Kiszka, Ziyo). The member of RSC, Nine Walking Trees, among othetrs. From the beginning releated to Spaart Recording Studio. In free time he takes photos. Anima Mundi is an unusual album. 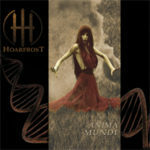 It is dedicated to great artist Amelia – the photographer, which pictures we have used on most of Hoarfrost’s covers. Her death was a big shock for us and it stopped the works on this material for a some time. 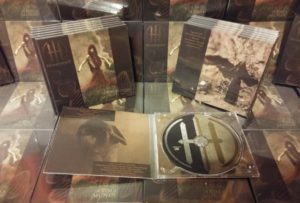 This album could probably never arise without the group of amazing artists, which we invited to the participation in it. Some of them working on the dark ambient industrial or noise music for the first time, so they brought something new for our music. 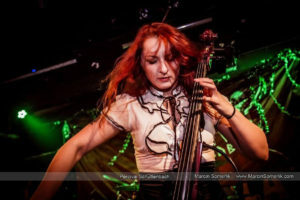 Katarzyna Bromirska – is going about music from her childhood; she is a graduate of Music School I and II degree in Legnica; from many years she is a cellist, a composer and a vocalist of groups Percival Schuttenbach and Percival, the best known from participation in the soundtrack to the video game „The Witcher 3”; she occasionally takes part in other music projects; she had an occassion to record as a musician of the symphonic orchestra and as a sessional musician in rock and metal groups, she also was a cellist in the theatre in Legnica.